Redondo Beach Historic Library is one of those rare wedding venues that is oceanfront. 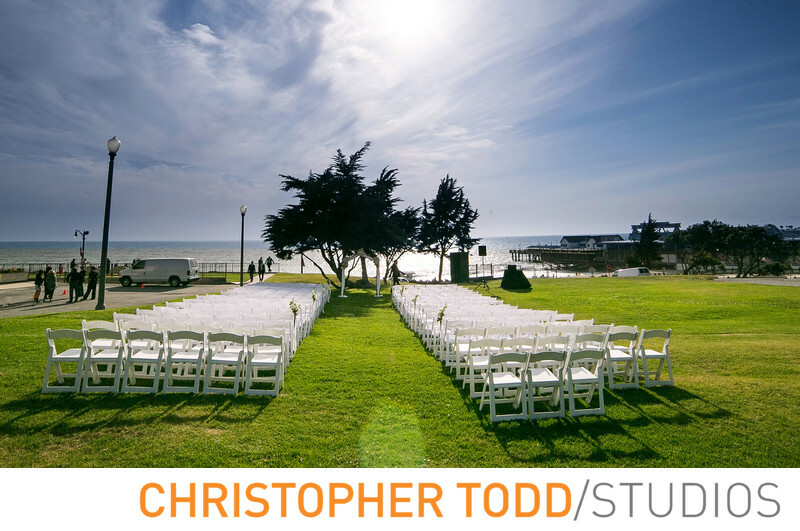 The ceremony is held on the lawn with stunning views of the ocean. This is a photo of the outdoor ceremony before the guests have arrived. Location: 309 Esplanade, Redondo Beach, CA 90277.